There are thousands of skin care products currently available for consumers to purchase in large chain stores, small shops, and online. Finding these products is easy, but understanding what goes into them is not. You can usually find some of the better ingredients flaunted on the front label, but you can't know how much of of them goes into the entire batch and what is used as cheap filler. The only way to be sure of what goes into your skin care products is to research each one, or more simply, to just make your own! Sound too intimidating? I'm going to share with you just how easy it is with my recipe for DIY Skin Soothing Lavender Cream. Lavender is one of my Favorite Essential Oils, and it does so much more than merely smell pleasant. Lavender has been found to alleviate anxiety, help with depression, and provide relief from some sleepdisorders. Lavender has been used for thousands of years as a remedy for various ailments from easing the mind to banishing parasites. Its versatility and soothing aroma makes it perfect for skin care. Not all ingredients are made the same or offer the same benefits. Oils must be extracted from plants, and the manner in which they are extracted greatly affects how well they work. Coconut oil is widely available online, in grocery stores, drug stores, and small shops. The kind required for this skin cream recipe needs to be either virgin or refined. Virgin coconut oil is the most beneficial, but it is also the most like a coconut. This might be just fine for you if you like coconut, and if that's the case, definitely spring for virgin. If you prefer a more subtle oil, refined might be a better fit. It provides many of the same benefits without the tropical aroma. High quality shea butter is less commonly available. You will probably have to visit stores that specialize in organic skin care or purchase your shea butter online. I've found purchasing online to be the easier option. A carrier oil works as a base oil to allow the essential oil (lavender) to better absorb into skin. There are many different kinds of Carrier Oils, and you may use whatever you have on hand or whatever your prefer. This is YOUR homemade skin cream, so you should use what you like. I prefer sweet almond oil, jojoba oil, or grapeseed oil in this application and keep those items stocked in my pantry. Lavender essential oil has become so widely used that you may be able to find it grocery stores and pharmacies as well as small specialty shops and online retailers. Use a double boiler set to medium heat to combine the coconut oil, shea butter, and carrier oil of your choice. DO NOT ADD THE LAVENDER OIL AT THIS TIME. Stir to thoroughly combine the first three ingredients. Then put mixture into the refrigerator for one to two hours or until the oils have become solid. Once solid, add the lavender oil. Use an electric mixer to whip into a soft butter. Be careful to start off slow to prevent the oil from spattering. 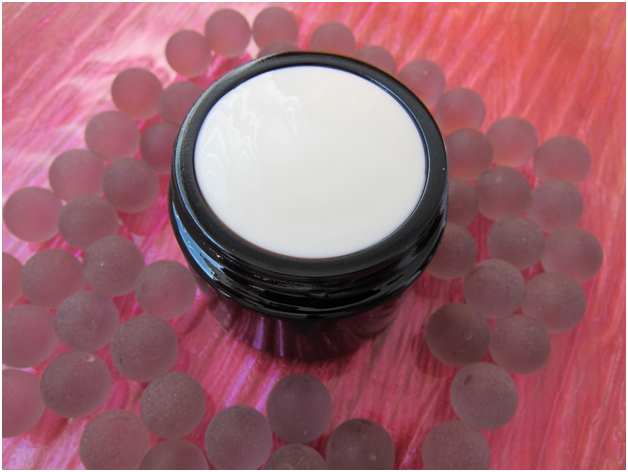 You can store your soothing lavender skin cream in a glass jar at room temperature. Slather on after a shower or bath for maximum softness and absorption of the nourishing ingredients into your skin. Sally Wong is a massage therapist with 15 years experience practicing her trade. The daughter of a skilled massage therapist, she is originally from a small town in China and currently resides in Vancouver, Canada. She frequently visits her grandmother who still resides in China to learn about Essential Oils And TheirHealing Properties.